What imaging is used to diagnose a brain injury? After a concussion or any hit to the head, you go to the doctor, and they tell you might have a concussion, but that it is no big deal because your symptoms will just go away with some rest right? Sometimes, but not usually. It would be nice to know exactly how you are feeling to provide the best overall treatment and a new imaging technology can do that. A Functional Magnetic Resonance Image (fMRI) is an imaging technique used to diagnose concussion and recognizes changes in the brain while you are asked to engage in cognitive tasks. Most people have heard of an MRI and but fewer have heard of a functional MRI (fMRI). So what are they and what is the difference between them? MRI produces static images of the anatomy of the brain and a functional MRI produces images of what is going on inside the brain as it is working. Functional NeuroCognitive Imaging (fNCI) fNCI is a unique form of a fMRI that uses specific tests to measure how the brain is functioning. fNCI is over 98% accurate at diagnosing concussions. In the past, concussions have been subjectively diagnosed by either giving the individual a post-concussion symptom scale (PCSS) to rate the severity of their symptoms or by asking the patient if they went unconscious after getting hit. Now, fNCI provides an objective measure to target treatment on specific cognitive areas to, in turn, accelerate recovery. Rather than you telling a doctor what you think is going on, the doctor can see exactly what is happening in regards to your brain functioning. What does fNCI measure and how does it diagnose a concussion? The fNCI measures the amount of blood sent to the brain and where it goes while the individual is thinking. From looking at an fNCI of a patient, it is easy to see what part of the brain has too little (hypoactivation) or too much (hyperactivation) blood flowing to each brain region that is tested in the scan. When the region is hypoactivated, the brain is not receiving enough oxygen to function in that specific area, which means the person will have a difficult time completing tasks using that part of the brain. 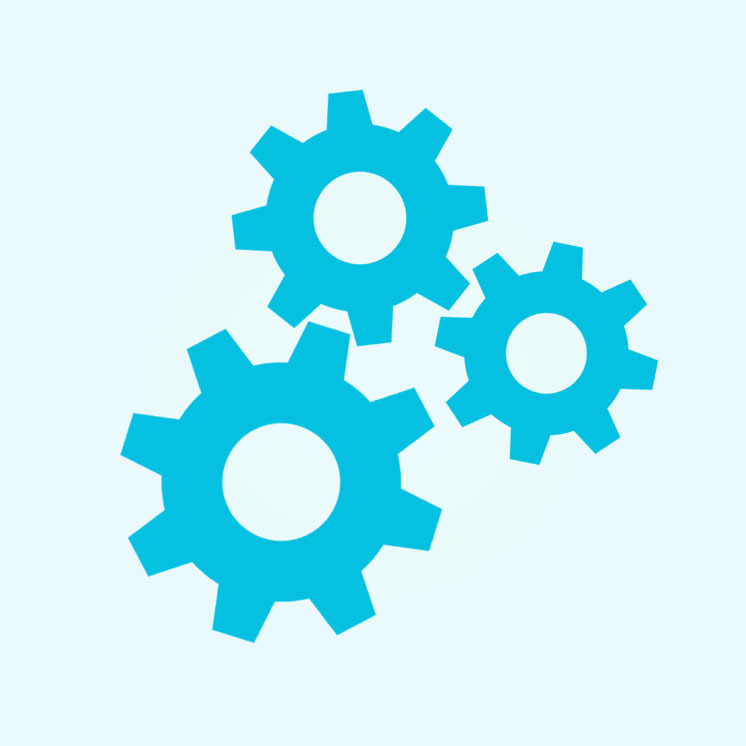 When the region is hyperactivated, it has so much blood that it the brain spends more energy than it needs to complete a task, resulting in fatigue and often headaches. The fNCI is effective in diagnosing concussion because these changes in blood flow contribute heavily to concussion etiology. How is the fNCI Administered? A trained fMRI technician has the patient lay down in a magnetic resonance imaging scanner and gives them instructions on how to complete six cognitive tests. They communicate with the patient through a microphone when needed. While the patient is completing the tests, real-time data pulls up on the technician’s screen as well as activation images of the patient’s brain. 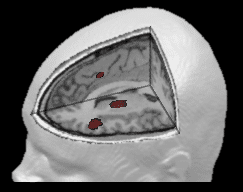 The images show the amount of blood that is being sent to the brain during each portion of the test. An fNCI takes around 45 minutes to complete. After completion of the fNCI, a doctor analyzes the results and compares them to results from those without concussions. 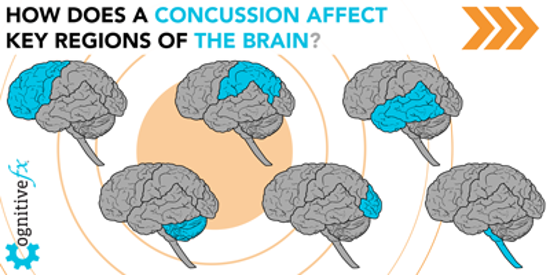 The doctor uses this comparison to give a Severity Index Score (SIS) that quantifies the severity of the concussion. How does fNCI add value to understanding brain injury? fNCI utilizes 6 testing batteries that have all been developed and researched with publications to back up their findings and applications. These testing batteries essentially make up the technology that makes fNCI unique and provides the basis for the Severity Index Score (SIS). The testing batteries also provide biomarkers that verify it is a concussion, and not another neurological disorder or disease. Because fNCI was developed to create a new standard of care, the SIS score is a comparison to our healthy group of patients that are in our normative database. We can accurately compare you to a large group of healthy patients to accurately evaluate where the brain is dysfunctioning. Many patients share how this scan has empowered them to see and better understand their injury, and what to do to get better. Overall, fNCI is what makes how Cognitive FX approaches understanding the brain after an injury unique which then, in turn, makes our treatment approach unique. To learn more about our research go to our Resources & Publications page.